Claim your cannon character or post your OC character here. 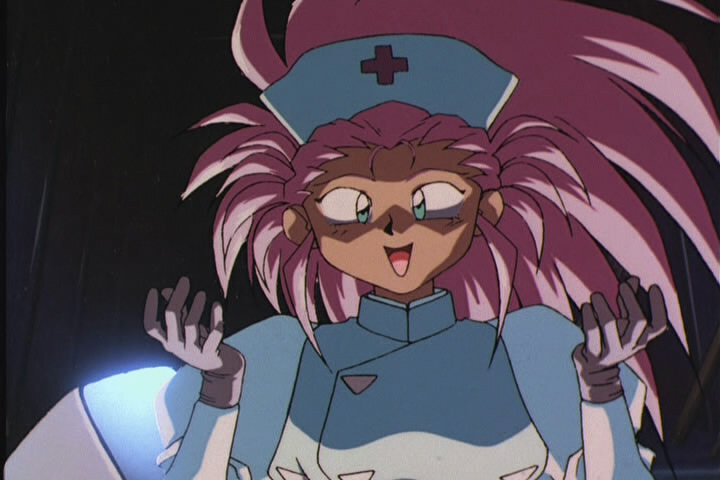 I happen to like Mihoshi a lot, so I hope that doesn't mean anything bad, and she doesn't belong to any single fan of the show. Physical Description: Very Russian in appearance but also, very royal. (See history.) Standing about 6'2", weighing in at 230lbs. Thus, he is built, but slender, in the athletic and wiry department. His size does not show his true strength, and he is as strong as an ox, but fast and agile as well. Personality: Fond of his mother Russia, and despite being a former part of a military elite, he is rather quiet and friendly, with a thick Russian accent. Very clever, practical and logical thinker, kind, outgoing, and likes to quote Russian sayings, or ones he thinks are Russian, but are really not. He is proud of anything Russian, and likes to use Russian made things. Accepted and yes you may. Edit: Just make sure you edit your character profile as he discovers them. I just wasn't sure what he should discover and why. I guess I'll claim Washu. Granted, jump in anytime you like. Sydney Freedman said it in the TV show M*A*S*H. The quote was in the pilot and then in the finale. Well, seeing the vacancy of a present Washuu acting in the RP, I'm requesting control of her character. Now all you need is Auir's approval. He's in class right now, but he will get that done today, I am sure. Do you have an OC idea? If she's not a Mary Sue, I don't see the issue...just give her a good backstory.